Explored the under-studied Byzantine/Renaissance churches, monasteries and convents of Romania’s Moravian Province. Traveled along the Aleutian highway to document the layers of the built environment established by the Aleut peoples, and Russian and American military bases and installations. 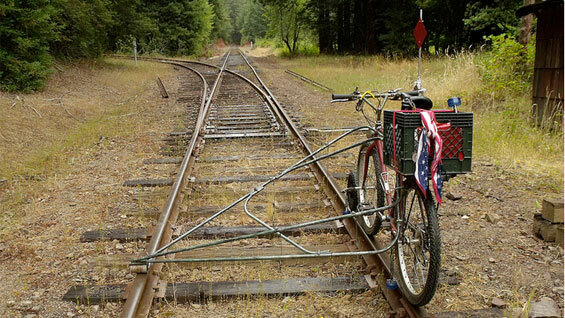 Built a bicycle that could ride the rails, and cycled on abandoned train tracks with portable a 19th century printing press, in exploration of the “tramp printers” who created much of the printed art of Northern California. Has been working on the subject of the meaning of the space created between bodies, or the “Third Body.” Her project is to realize sculpture exploring her ideas. Traveled to Louisiana to work on a narrative film documenting the lives of Creole women in her family.